Attending a Christian school as a kid I never really felt comfortable praying. We prayed throughout the day but I never felt like I knew how to do it “right.” It seemed like everyone else “got it” but I was the only one going through the motions without knowing what I was doing. 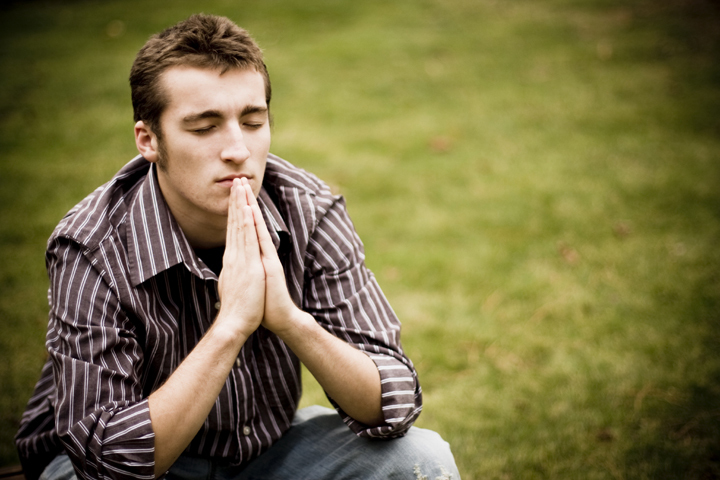 As I grew older and eventually went to Bible college to become a pastor I still felt kinda awkward about prayer. What was under-explained to me as a child was over-analyzed in my classes. There were so many different scriptures about prayer and everyone had a different take on how personal or liturgical prayer should be. Some people were very formal with their prayer times, kneeling or laying down, talking in tongues, hands raised to the sky. At times I wished I had their confidence while at the same time wondering how genuine their prayers really were because some of the things they did in prayer seemed, well, weird to me. Still other prayers were short and to the point, like they were checking something off a list of things a good Christian was supposed to do. But I kept reading in my classes about people in the Bible and throughout history who had vibrant prayer lives that filled them with hope, courage, and wisdom for some of the toughest circumstances a human being can go through. And I knew I wanted to pray those kind of prayers and have that kind of connection with God. But I didn’t know how. The world is full of so-called prayer warriors who are prayer-ignorant. They’re full of formulas and programs and advice, peddling techniques for getting what you want from God. Don’t fall for that nonsense. This is your Father you are dealing with, and he knows better than you what you need. With a God like this loving you, you can pray very simply. This has been a very liberating passage of Scripture for me. Through this passage I realized that prayer is all about talking to God. It’s not a show for others to see or a ritual for me to perform. It’s about an ongoing dialogue with the one who made me, who loves me, and who wants a friendship with me. I probably should have picked up on that years ago, but I let myself get so bogged down with other people’s rules and opinions that I missed the point. Now my prayers are less like prayers and more like talks with God. I tell God what I’m thankful for, I ask forgiveness for the things I’ve down wrong, I let Him know how I’m feeling, and, if I need to, I’ll ask him for something for myself or someone else. This isn’t overly sophisticated, but I don’t think talking to God needs to be. There should always be a sense of reverence when approaching the creator of the universe, but not in a way that keeps us from being ourselves with Him. And I think that’s the point. If raising your hands is your thing, not just your church or denomination’s thing, but you’re thing, then do it. If walking around the block or in nature is how you connect with God while you’re praying (like it is for me) then do that. And if kneeling or praying in tongues or lying down on the floor is your thing, then do that. When you pray just be yourself. The rest will take care of itself.